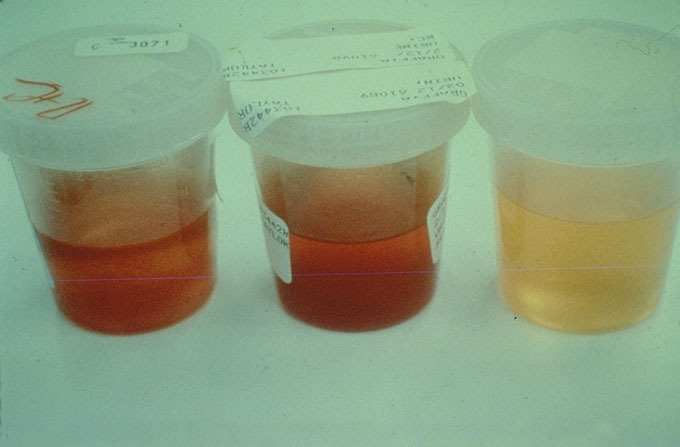 Three urine samples are shown. The one at the left shows a red, cloudy appearance. The one in the center is red but clear. The one on the right is yellow, but cloudy.